Taking care of our skin is one of the best investments we can make in ourselves and our bodies. Our skin is responsible for giving us our all-around glow, or sometimes, unfortunately—or lack thereof. One factor that can frequently contribute to losing our skin’s luster is sun spots. While the debut of sunspots can sometimes prompt the thought that your skin is beyond repair, there are ways to reduce their appearance and to brighten your skin overall. In today’s post, we’re discussing the prevention of sunspots altogether, what factors contribute to their creation, and how to treat them with the best skin brightening serum. 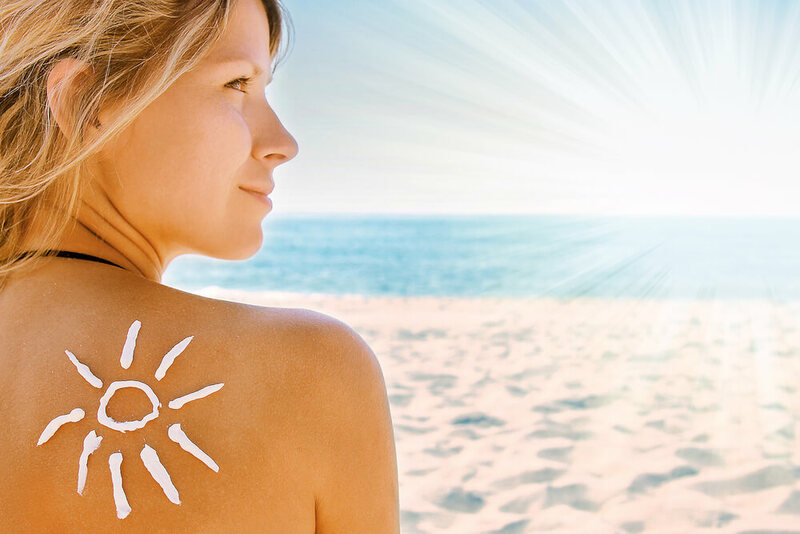 The most common factor that prompts sun spots on the skin is sun and UV ray exposure. These spots are the result of ultraviolet light from the sun causing a change to your skin’s natural pigmentation. While many of us love sitting in the sun, enjoying time at the beach, or soaking up rays as we enjoy the great outdoors, this can unfortunately be the culprit behind those pesky spots, especially if the appropriate protection is not worn. Note that artificial UV rays, produced in tanning beds, can also cause these spots. Aging is another factor that plays a role in the development of sunspots. This is due to the fact that aging skin is not as capable of repairing damage. Furthermore, melanin—which is the dark pigment that provides our skin with its color—clumps together more frequently to form patches of light to dark brown colored skin. Skin brightening serums are more effective in clearing the skin of sunspots, as opposed to covering the spots with foundation or looking for natural remedies that may not be long lasting. The best way to even out the look of your skin after the formation of sunspots is to use a skin brightening serum that can dramatically brighten your skin and even out your skin tone. Use a serum that acts as a gentle exfoliant and that is rich in ingredients such as sopropyl alcohol, cyclomethicone, and salicylic acid. Products with chromabright are proven to be safer for your skin than hydroquinone or mercury. Apply this serum twice a day to clean skin, and in about eight weeks, you’ll be able to see an improvement in skin tone. The best cure for sun spots is to prevent them altogether. You may be thinking that’s easier said than done, but there are actually simple measures that can be taken to protect your skin from developing these imperfections. Using SPF everyday, regardless of whether you’re going to be sitting out in the sun is one of the most important things you can do for your skin. Use a sunscreen or makeup product with an SPF of 30 or higher to prevent harm from UV rays. Put simply, SPF provides a layer of protection between your skin and the rays of the sun. 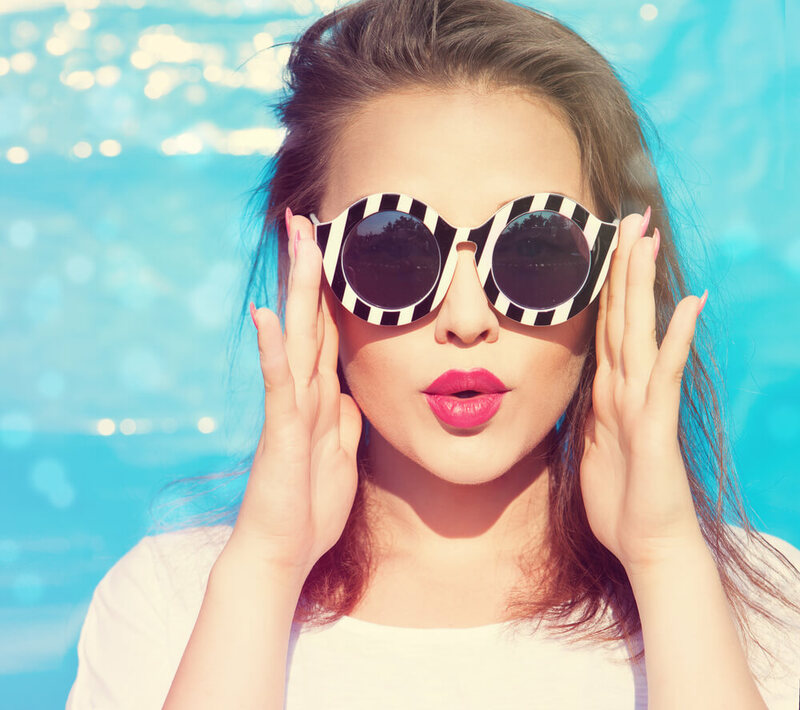 Your sunglasses are good for more than just style as they can actually help to prevent the appearance of sunspots. Sunnies protect the very sensitive skin around your eyes from harmful UV rays, so wear them whenever you’re outside to minimize damage. Keeping your skin as cool as a cucumber helps to prevent the appearance of sunspots. This is because overheated skin increases melanin activity and redness. Keep skin at a cooler temperature by placing skincare products in the fridge before use to provide a cooling effect, especially after you’ve been outdoors. Also, frequently use gel-based masks that can be placed in the fridge before use. Treating sun spots has never been easier, and a skin brightening serum can make a big difference in the appearance of these imperfections. In conjunction with taking preventive measures and protecting your skin from the sun every day, using the best skin brightening serum will make a big difference in the overall luminosity and evenness of your skin!